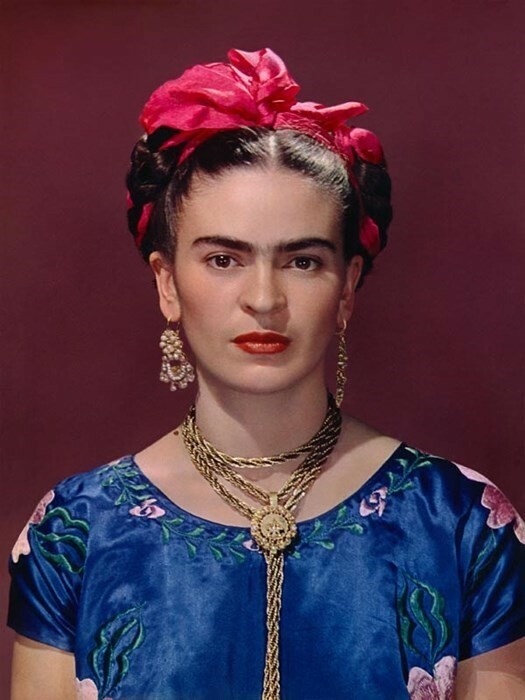 Dramatic, romantic, tragic and painful: these are some of the words that come to mind when reflecting on Frida Kahlo’s short life – she died at age 47, officially of pulmonary embolism, but it’s debated that she deliberately overdosed on painkillers. We know a lot about the Mexican painter throughout her incredibly honest artwork, but also because it’s been the subject of various mediums, books, films, even merchandise. Now, Kahlo is set to star in her first graphic novel, titled Frida Kahlo: The Story Of Her Life. Kahlo was extremely open about her life and its ups and downs; the tragic bus accident she was involved in, her struggle and then the inability to bear children and her chaotic marriage (turned divorce) to fellow artist, Diego Rivera – a man 20-years her senior with a wandering eye. To channel her traumas, she often used it as subject matter for her art work – particularly in paintings such as “Self-Portrait with Thorn Necklace and Hummingbird” (1940), “The Broken Column” (1944) and “Henry Ford Hospital” (1932). As a graphic novel, Frida Kahlo: The Story Of Her Life aims to depict the life and passions of a woman whose impact on art in undeniably unequivocal. Illustrated by Italy’s Vanna Vinci, Frida Kahlo: The Story Of Her Life takes us on a half-fact-half-fictional trip through her incredible story. Ahead of its release on 4 September, we share some spreads.